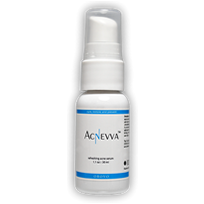 Tretinoin is a prescription acne medication that is derived from a form of vitamin A. 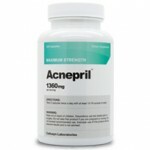 It is commonly used to treat acne vulgaris and keratosis pilaris. Does only being available through prescription mean that Tretinoin is more effective? And what about side-effects? Read on to find out more about Tretinoin. Not only is Tretinoin used to treat acne, it is also used in some cases to treat acute promyelocytic leukemia. More commonly known as Retin-A, it has become the choice of many for the treatment even of whiteheads and blackheads, naturally increasing skin cell turnover. But tretinoin often takes weeks if not months to work at all. 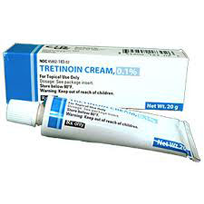 Tretinoin increases collagen production, and so it helps stimulate skin regrowth. Those who use it frequently experience side-effects, but it many cases, these effects subside after the skin becomes accustomed to Tretinoin. 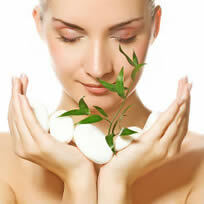 Tretinoin causes various side effects such as irritation and flaking. It has been so severe as to lead some to stop using Retin-A after only a couple weeks, especially when they did not see any difference or even saw worsening acne after a couple of weeks. Some never see results, even with extended use. Tretinoin is proven to work for a significant number of individuals as it is a prescription. However, it is controlled as a prescription partly due to the side effects, and like virtually any other prescription, it takes at least 6-9 weeks to show noticeable results, if not longer. We would not recommend this product, especially when there are so many other viable options.